With its equipment and furniture the Čunovo water sports complex meets the criteria of sports stadiums of the highest quality so it is possible to organize here races at the European and world levels. The complex provides trainings facilities not only for professional water slalom racers but for hobby sportsmen as well. The persons interested who themselves want to try this adrenaline sport can book the track in advance and drive it with an experienced instructor. The water sports artificial channel has a history of races attended by Slovak racers who took part in the Olympics, and foreign national teams. In 1997 and 1999 the Water Slalom World Cup was held here. In 2000 and 2001 the Junior Water Slalom World Championships and in 2003 the Junior Water Slalom European Championships took place in this complex. 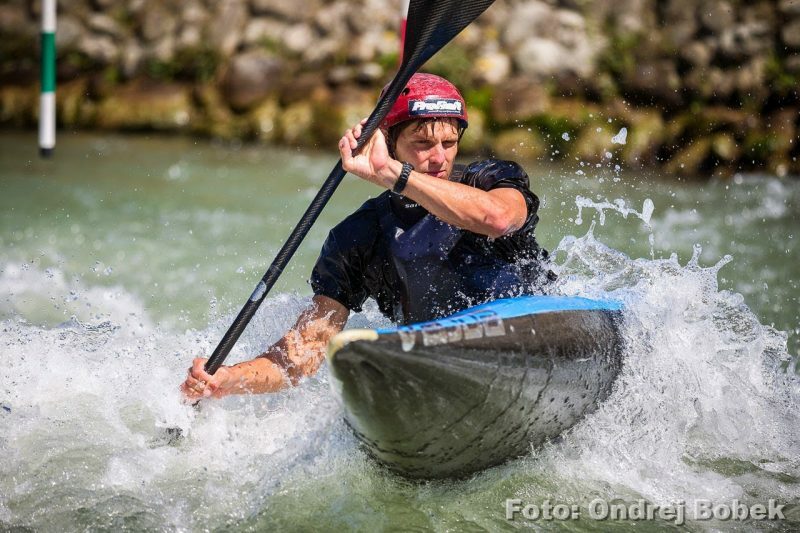 Moreover, the year of 2010 will be of significant importance by holding the Water Slalom European Championships. Another important year will be 2011 when the Water Slalom World Championships will take place here. Board and lodging in the complex is provided by the newly opened Divoká voda and its restaurant. A buffet situated in the tribune premises serves fast food. 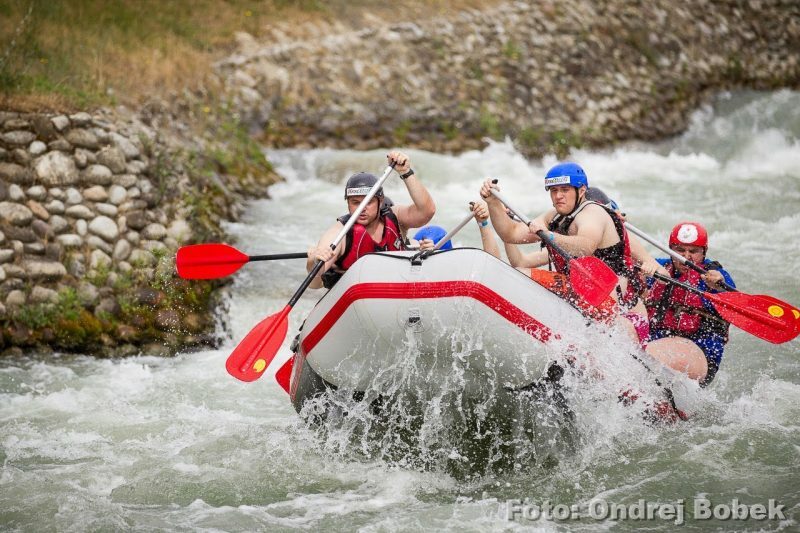 Rafting is accessible not only to professional rafters but to the general public as well. Experience a team and adrenaline activity at the same time! We offer to organize rafting races including a photocell stop-watch. This activity can be performed for at least 4 persons. One boat can take 4 to 6 persons and one instructor. In case you do not have a sufficient number of persons interested, book the rafting activity for a nonbinding date, and we will find a group of people for your boat and will then contact you. Learn to kayak either in quiet water or on whitewater. 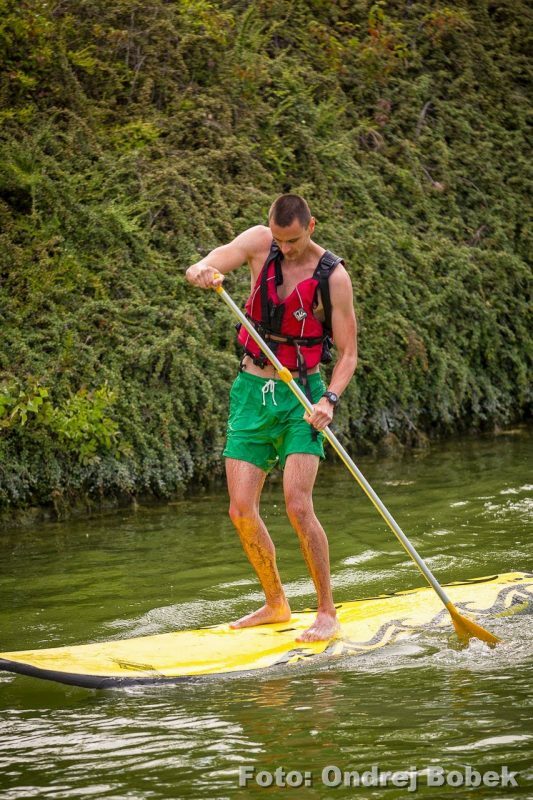 There are 10-hour introductory courses to learn the basics of paddling. 5-10 beginners can attend the first course and then they can agree with the coach on individual training in subsequent lessons. We have an additional adrenaline activities of whitewater. Hydrospeed is a float on which you lie down with fins and navigable canals. Right on the water for you supervised ,,safety kayak ” with an instructor and on-shore waterrescue. Activity is suitable for amateur athletes. This activity is designed for one or more individuals, each individua on white water fight alone. It is undoubtedly ablast of adrenaline. You no longer need sea or ocean. We have here a great surfing wave, where professionals and also amateurs can have a lot of fun. Have fun at a fast adrenaline drive on the water area situated immediately in the Divoká voda complex. New and good water scooters will ensure you a safe drive and unforgettable feeling from new adventures. The activity price includes: rent of one water scooter, fuel, oils/lubricants, the drive track marked through buoys, an instructor with VMP licence, a lifejacket, and a helmet. This activity can be performed for individuals or smaller groups. The drive takes place under the output of wild water channel in the Danube old stream bed that is part of the complex. In case the group has rented two types of scooters, they can be exchanged during the drive. The participant drives the scooter by himself/herself on the track exactly marked. In case of company groups we offer competition drives. On the Crownline 220 LS motorboat with 300-HP engine you can enjoy a really fast drive on the Danube. Moreover, we offer sightseeing-drives on the Danube to Bratislava or the neighbouring countries. The boat is also designed to tow water ski or wakeboard. The activity price includes: rent of the motorboat for 1 moto-hour, fuel, oils/lubricants, experienced skipper, and compulsory rescue equipment. The motorboat is intended fro 7 passengers. The boat is anchored on the other Danube bank – opposite to the Modrá čajka botel where the boat trips begin unless otherwise agreed. The boat is steered by a captain but never by a passenger unless he/she owns a captain certificate. It is a water attraction similar towed by a motorboat. Wakeboard is a board broad enough for both feet and is similar to skateboard. The activity price includes: rent of the motorboat to tow the wakeboard, fuel, oils/lubricants, the drive track, an instructor with VMP licence, a lifejacket, a helmet, wakeboard/water ski. The participant will be briefly instructed on how to perform this activity. 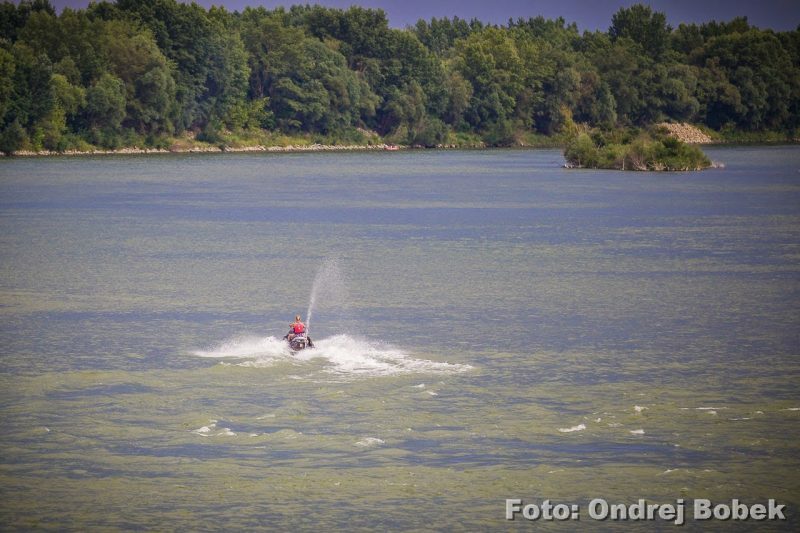 The wakeboard drive takes place under the output of wild water channel in the Danube old stream bed that is part of the complex, or on the main Danube in case the participant is very experienced. The activity is determined for one participant. Ideal entertainment for children and adults! Aquaroller is inflatable roller on the water surface. Inside this roller you’re trying to walk and push forward. The activity is carried out in the return channel of our area. The newest activity here is archery, with bows designed for women, men and even for children, numbered bullseye and 3D targets. Both recreational and competitive archery available. Offroad track is 500 meters long and has slight elevation. It really is crazy ,,safe” fun. We have 4 quads with an engine power of 200 cm and automatic control. All under the supervision of an instructor. The activity is available all year long. Price: € 14 for 10 min. / €32 for 30 min. Price includes ride and equipment. In the complex there is a paintball playground where you can challenge your rival to a duel or where you can relax with your friends playing this entertaining game. The price includes: Marker (Tippman), a protective mask, CO2, a masking (camouflage) overall, 200/100 bullets, two instructors, and maintenance of weapons.